Faurecia says restructuring costs in Western Europe will total EUR190m (US$242m) by the end of 2013 as it adjusts to plunging European demand. The French supplier will have cut 1,500 staff from its West Europe workforce by the end of this year, while also seeking to implement fixed costs reductions of EUR50m in 2013 and EUR100m in 2014. Speaking to just-auto today (12 November) on the sidelines of the supplier's Investor Day in London, Faurecia chairman and CEO, Yann Delabriere, revealed the exact headcount number for the first time. 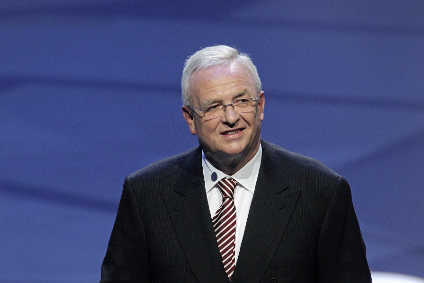 "We have not announced until now, today, the precise restructuring in Europe," he told just-auto. "So yes, it could be considered as what we need in order to trim and it is 1,500 workers across Western Europe. "What is affecting us is the slowdown of automotive production of our clients. The European context is a significant change on our business with a market forecast 12% below a year ago. "It is clearly impacting our operating income road map. We have an action plan to cut costs in Europe and implement restructuring in our European footprint...to secure our profitability in Europe with aggressive cost cutting." Delabriere was speaking as Faurecia revealed it had cut its medium-term earnings aim, postponing its 5% operating margin goal from 2014 to 2016. The old world gloom is being lifted however, at Faurecia as the company significantly expands its presence in North America and Asia, while reducing its European visibility at the same time. The component producer saw extremely rapid growth in North America in 2011 - up 33% and is expecting to do even better this year rising 42% to make Faurecia the sixth largest automotive supplier on the Continent accounting for 25% of global sales. Key drivers in that expansion have been growth with Ford, Nissan, Daimler, Volkswagen in Chattanooga and Mexico, as well as from a startling increase in commercial vehicles from nothing to EUR90m in 2012. One bright spot on Faurecia's European horizon is Russia, whose automotive sector is forecast to rise from 1.9m units in 2011 to 2.4m units in 2016, while Tier 1 suppliers are expected to grow far faster than the OEM market. "Our only growth opportunity in Europe is the Russian market," said Delabriere. "The Tier 1 market is expected to grow more rapidly than automotive car production, because the OEMs have to comply with Decree 166, which requires 60% localisation within six years from their initial investment. "The Russian automotive industry has restructured with consolidation - Renault-Nissan has consolidated [with] AvtoVAZ, Ford has also consolidated with their partnership with Sollers, Volkswagen has a base with GAZ [Group] in Nizhny Novgorod. Faurecia Automotive Seating will localise in St Petersburg [and] we expect our sales to take off significantly to EUR400m of business by 2016." Despite the Russian optimism, it is the rest of Europe that continues to pose significant challenges to Faurecia as well as all suppliers and OEMs as the Continent battles with plunging consumer confidence and a raft of swingeing austerity measures that are taking an axe to enormous national deficits. "We must recognise the new European context is impacting our company and our medium-term financial targets," said Delabriere. "Clearly, it requires international action in order to reconverge with our objectives. "We are now in an environment which is significantly different. The forecast is for another drop in 2013, which is also our opinion. We cannot expect to see again the 2011 levels before 2016 and that 2016 will [be] below the previous peak in 2006/2007. "We expect to have flat sales from 2011-2016 in Europe - we expect to gradually recover from 2014 but slightly below the 2011 level." P.S: If you liked this article, you might enjoy the just-auto newsletter. In a record year for Volkswagen Group Spanish unit SEAT, the purchasing operation spent EUR7.137bn (US$8.061bn) in 2018, up 5.6% year on year. Toyota Motor said it would build a hybrid version of the redesigned Corolla sedan in Brazil that will run on electricity, ethanol and petrol, claiming it would be the first vehicle of its kind in the world. Following the ZF establishment of two joint ventures with Chinese commercial vehicle manufacturer Foton in 2016, to produce commercial vehicle transmissions, the pair have now opened a second factory in Jiaxing, south of Shanghai.